For so many people in the North Bay, it's been a month of heartache and loss, but also one of gratitude and hope. The wildfires are one of the worst disasters in California history, but sometimes the worst of times bring out the best in us. We have so many remarkable stories to share of generosity, courage, and the resiliency of the human spirit. While we know that won't bring back what was lost, it does remind us that we're all in this together. 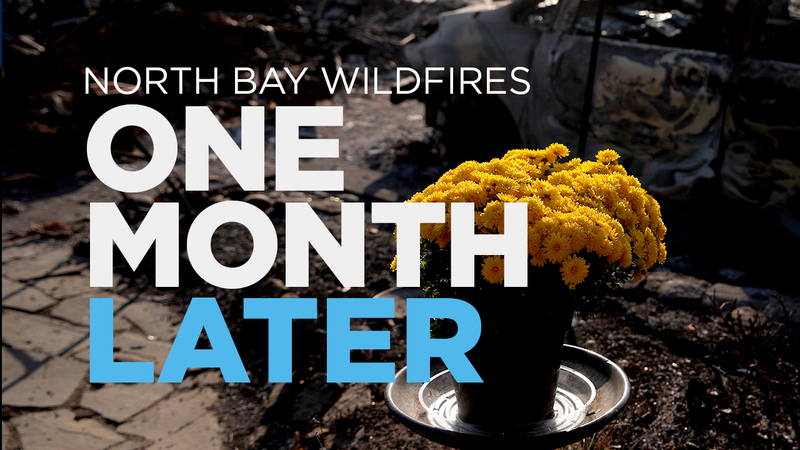 So as we reach the first milestone on the road to recovery, ABC7 will bring you stories today from "The North Bay Wildfires: One Month Later." We'll have special coverage in every newscast and here online.